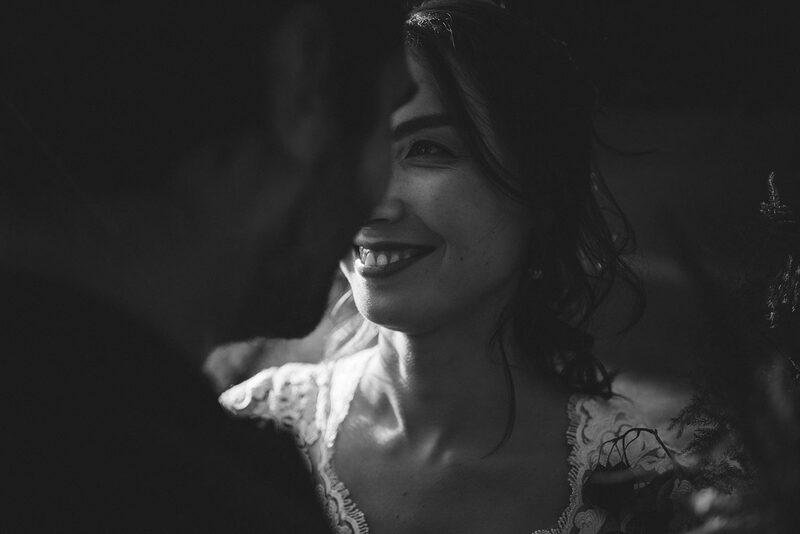 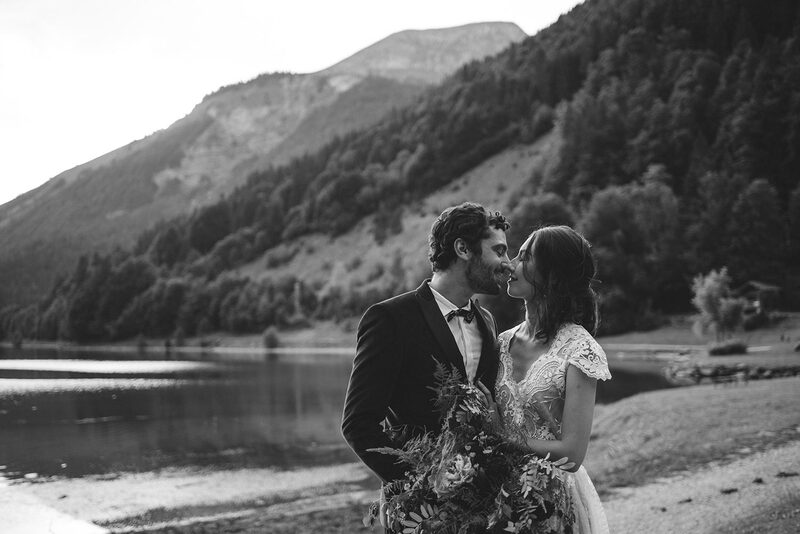 Have you ever thought of getting married in France? 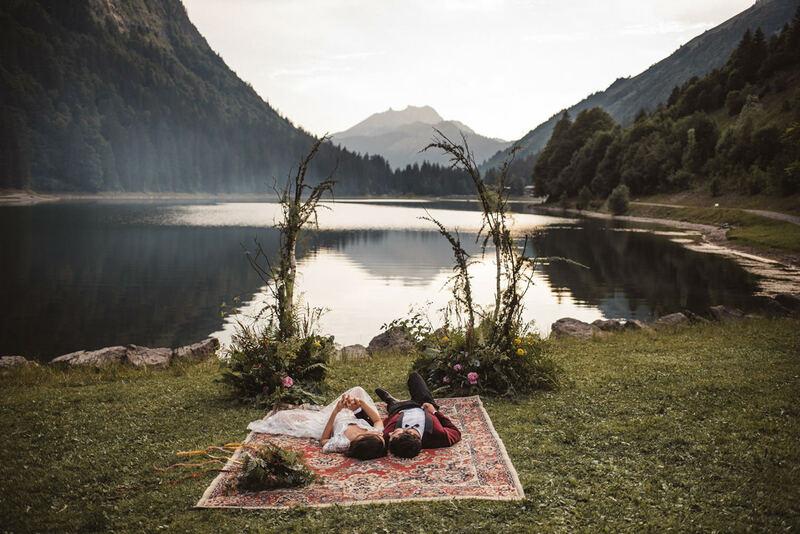 Sounds like a dream right? 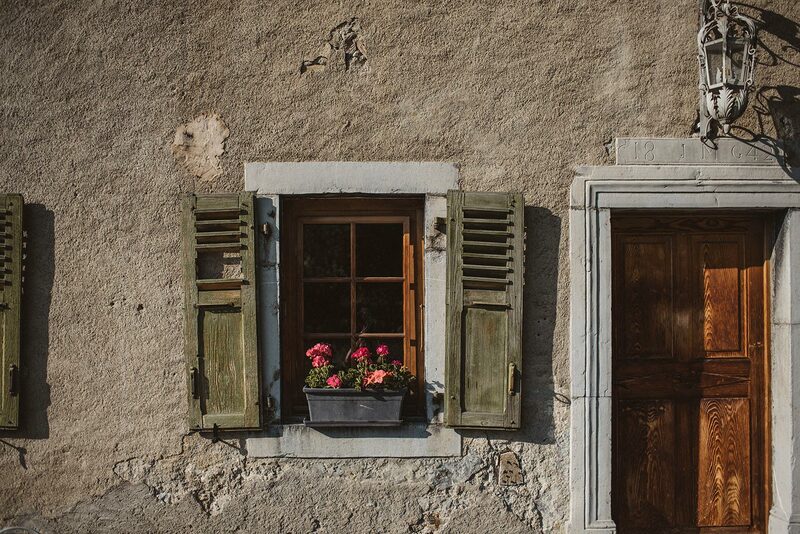 Well, not all people think of Paris immediately, and yes – we are one of those people. 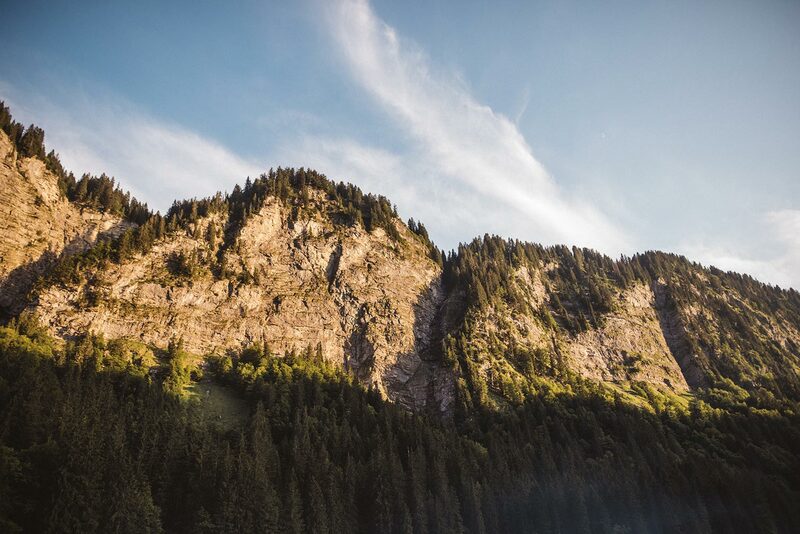 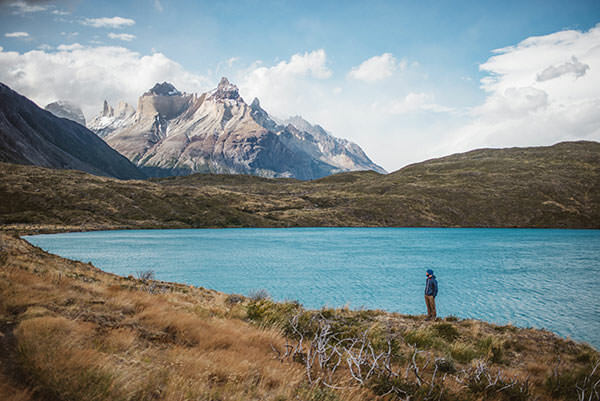 We love the outdoors, nature and mountains. 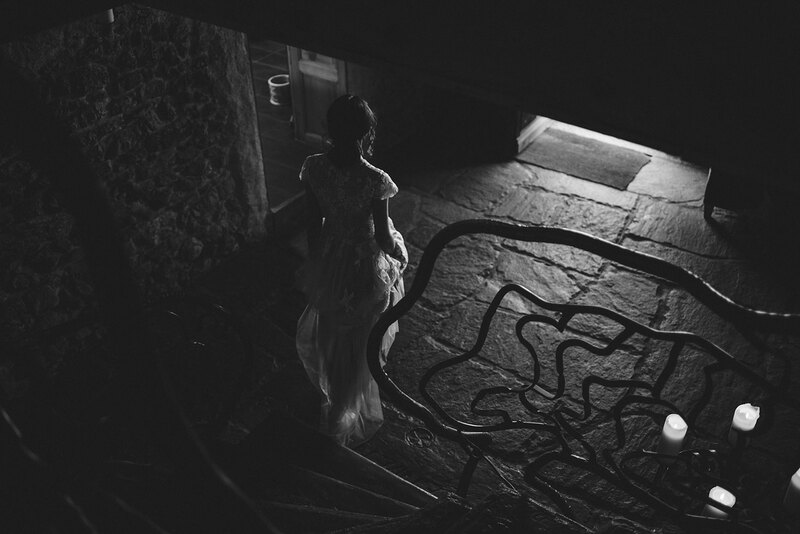 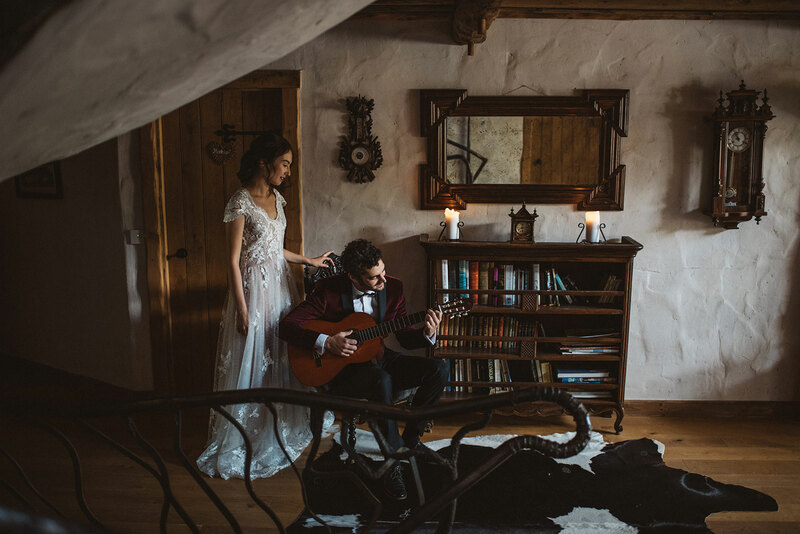 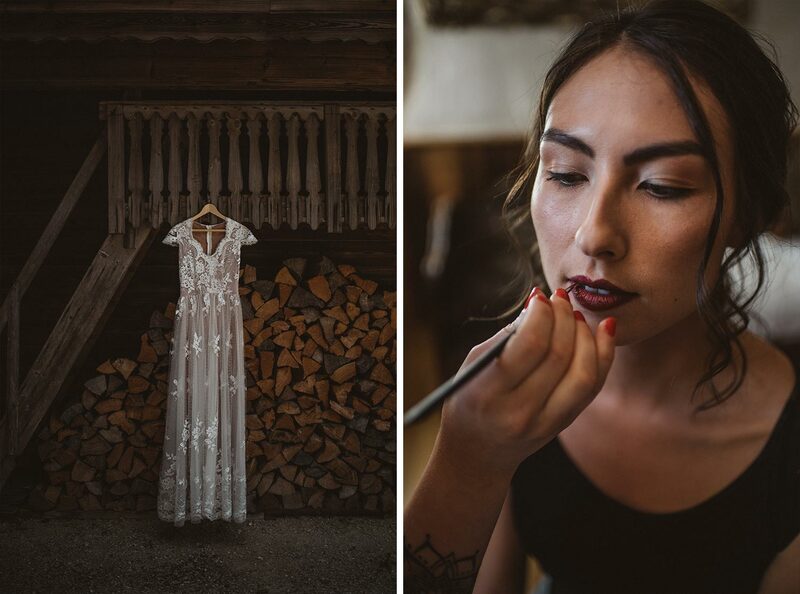 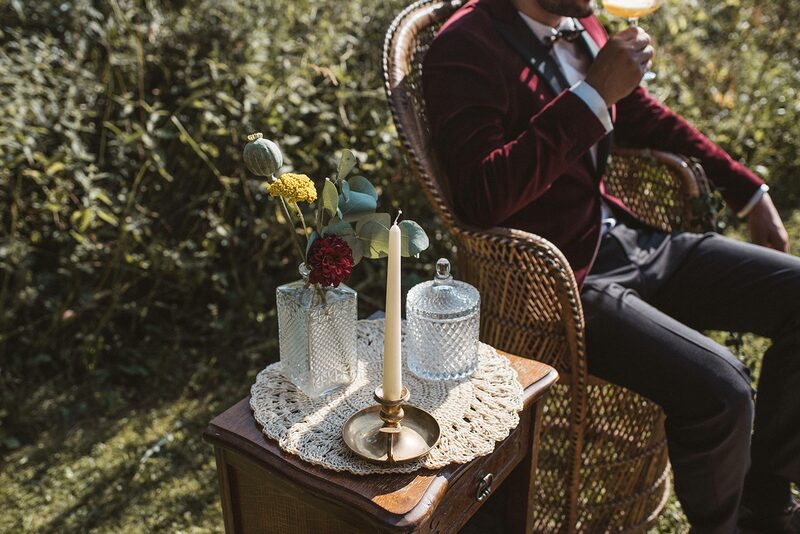 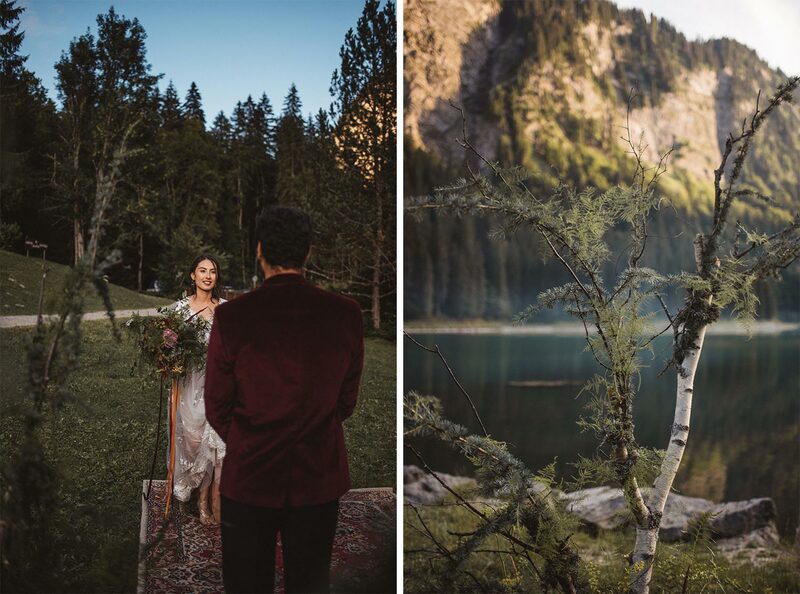 So when we were invited to do this elopement photo session in the French Alps, we were already packing our suitcases in our minds. 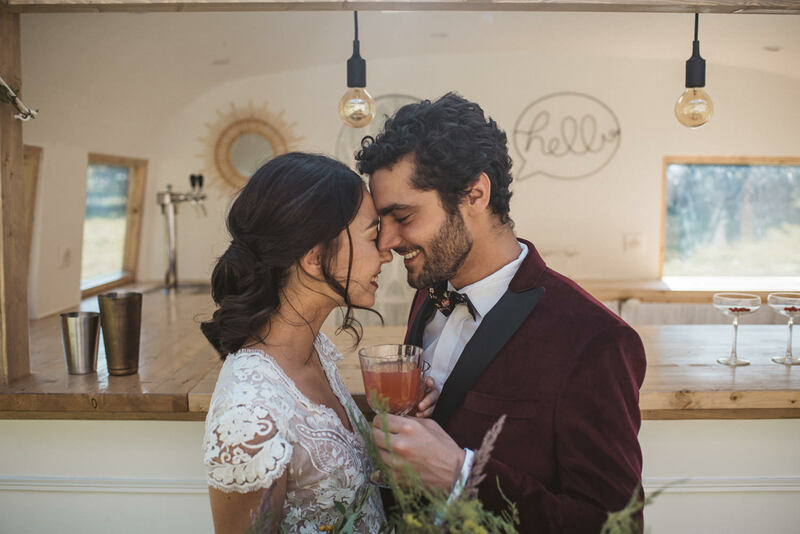 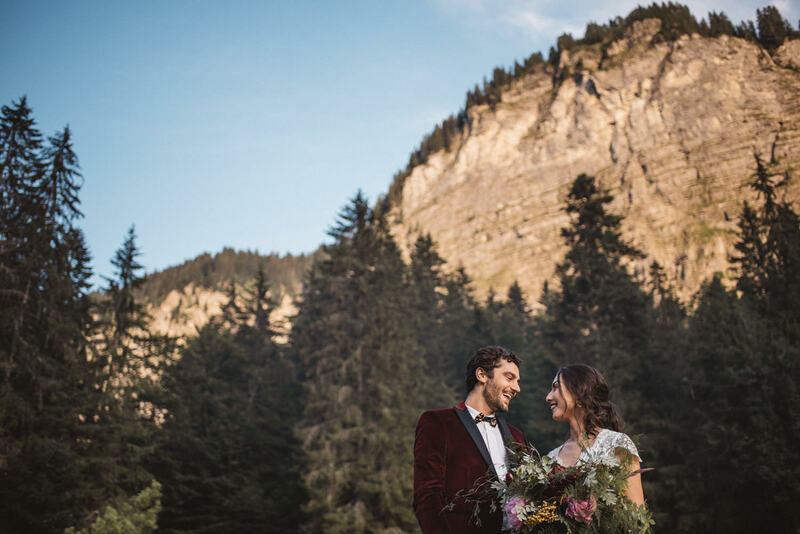 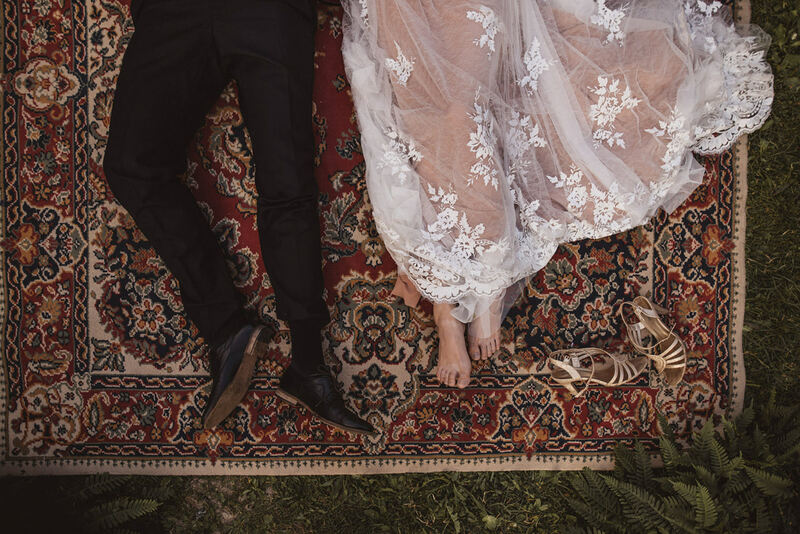 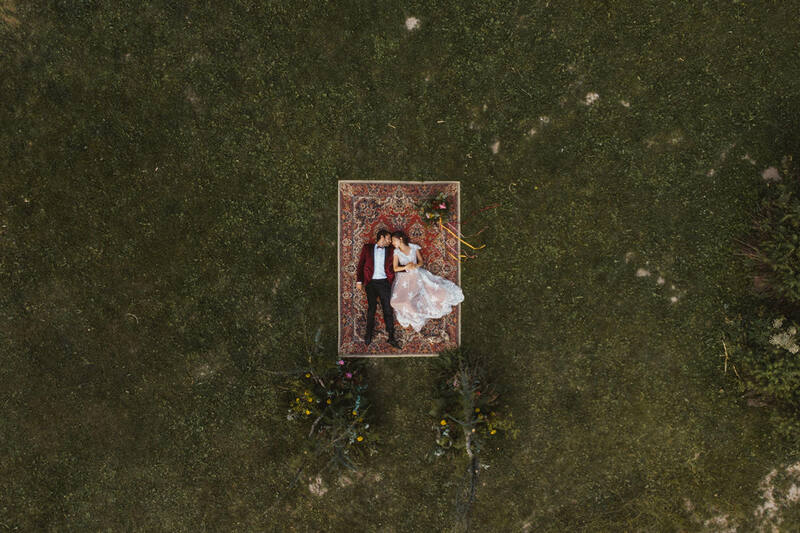 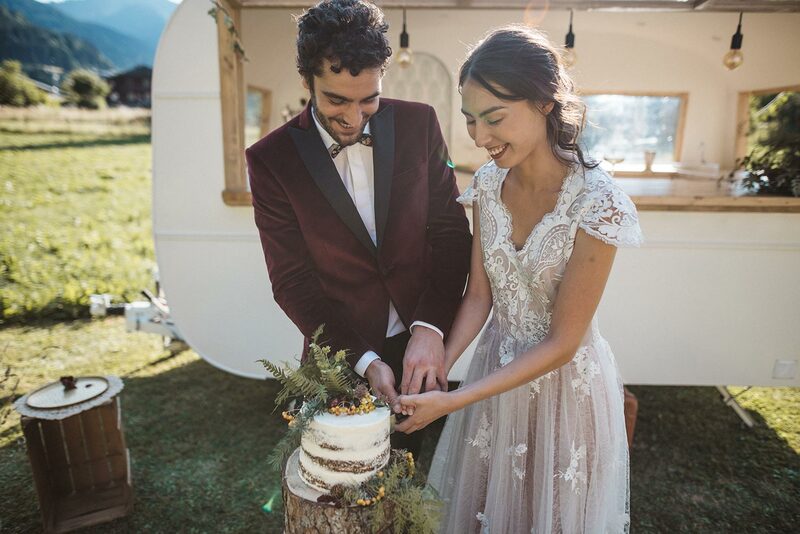 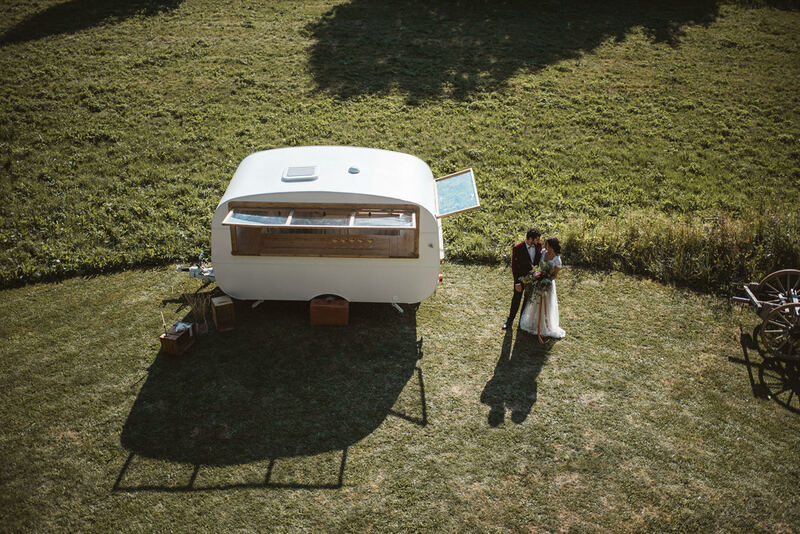 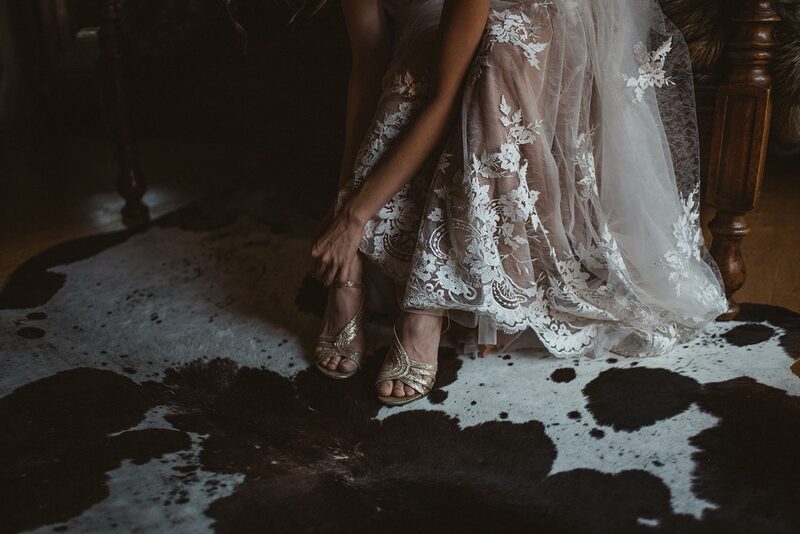 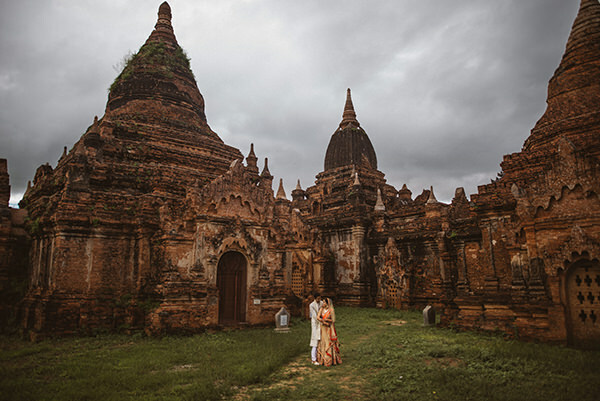 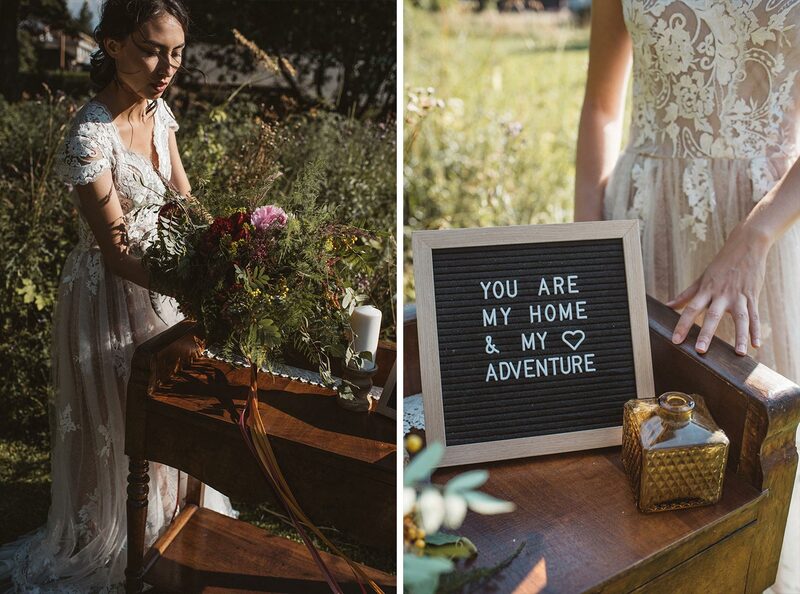 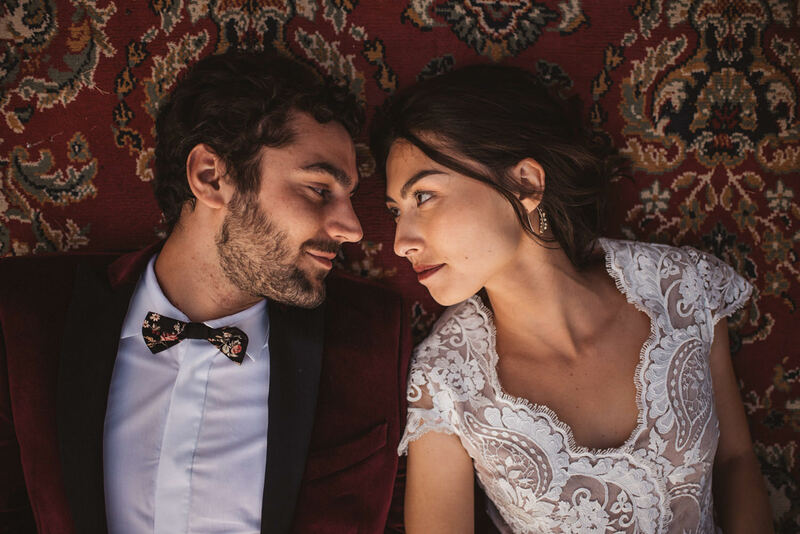 Everything about this elopement makes us feel warm and excited!The rocky landscape for one is really breathtaking. 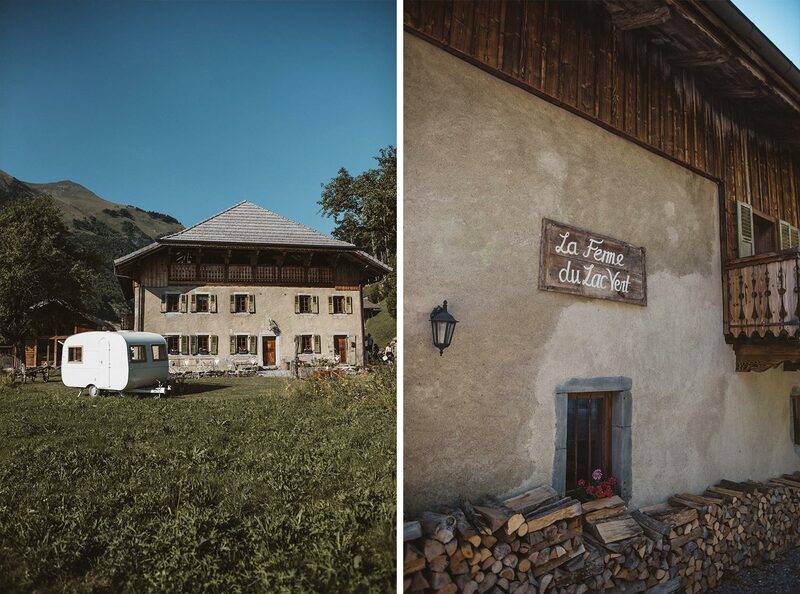 We have never been to this part of France before and we immediately fell in love with it. 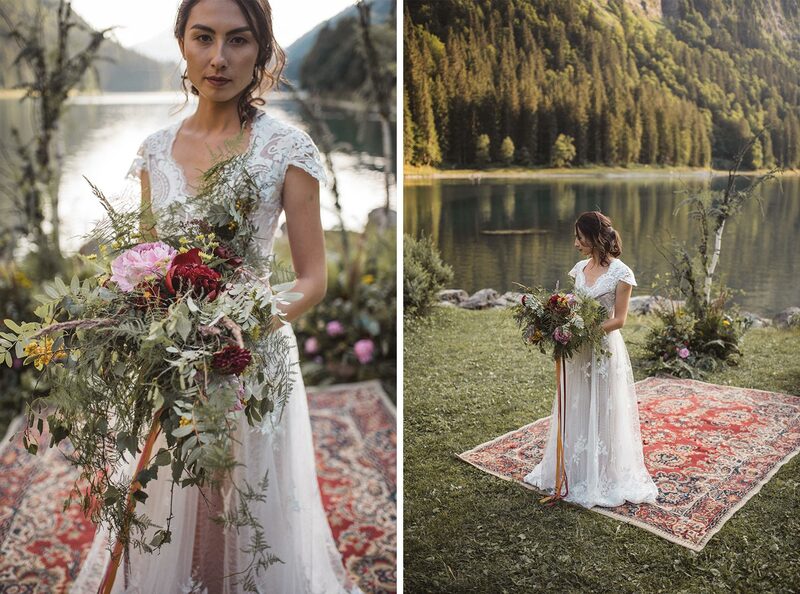 The contrast of pretty vs. wild is another thing we love about it. 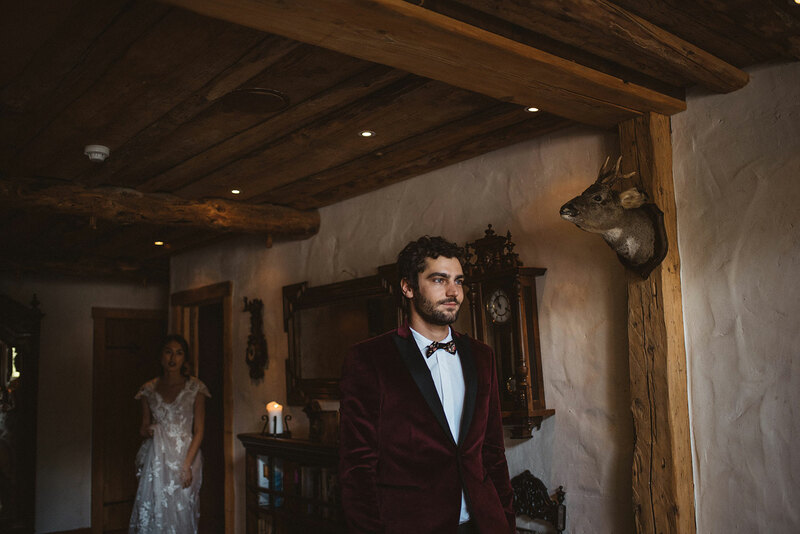 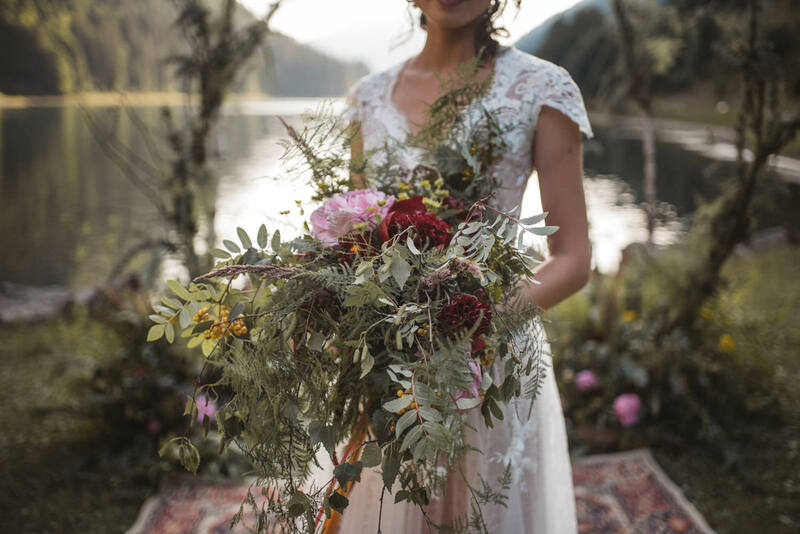 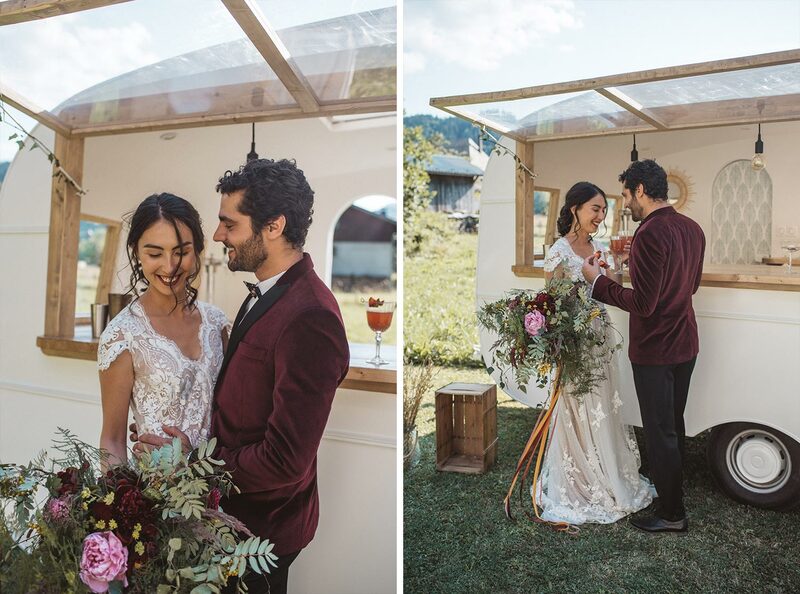 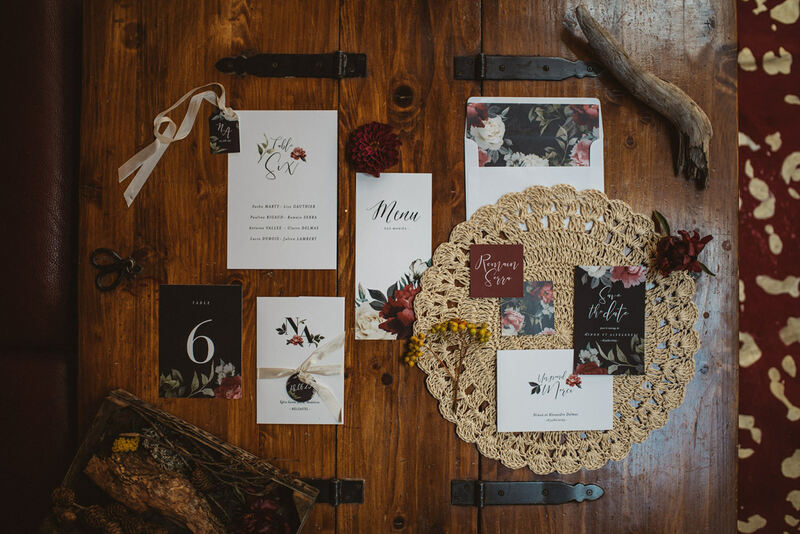 The big, crazy and wild bouquet and burgundy red complement the couple’s wild and adventurous hearts. 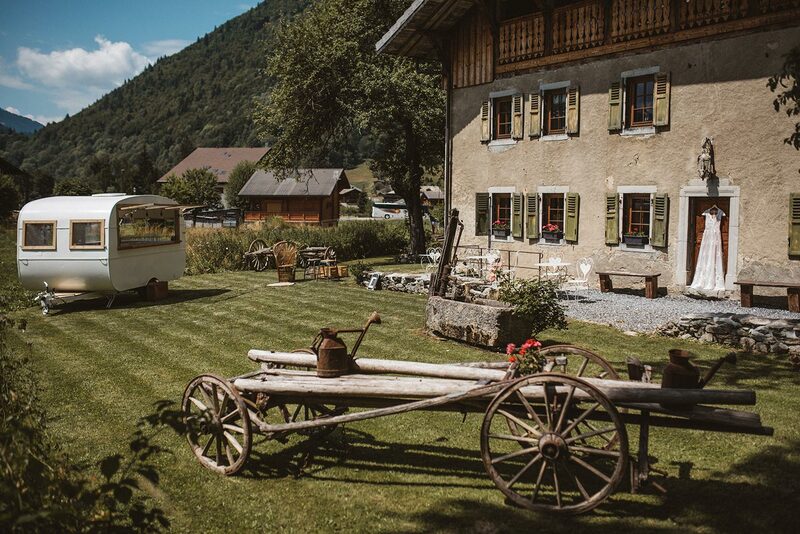 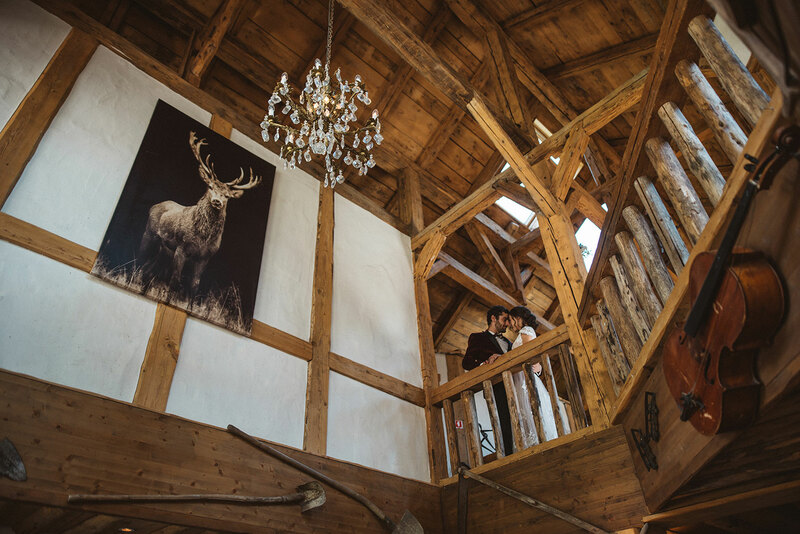 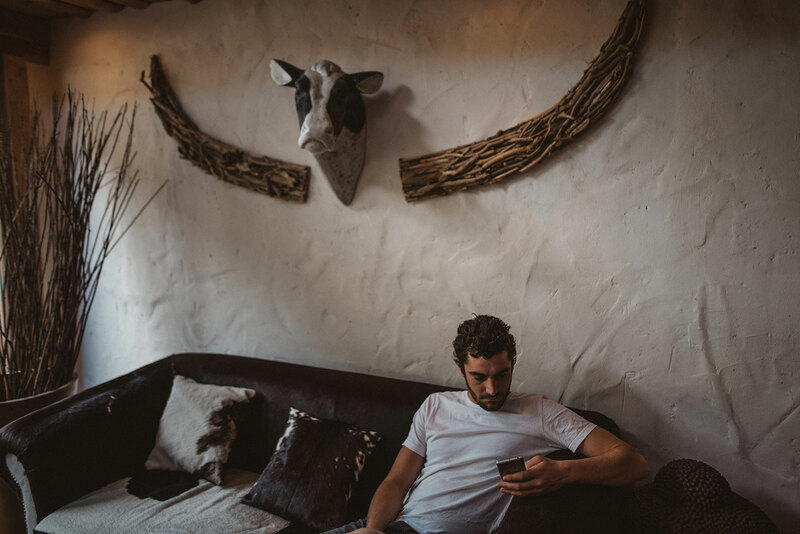 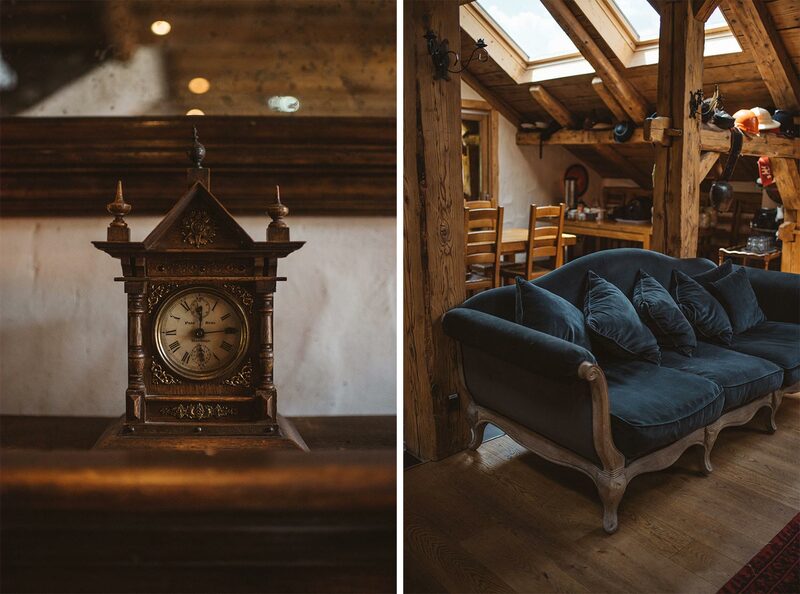 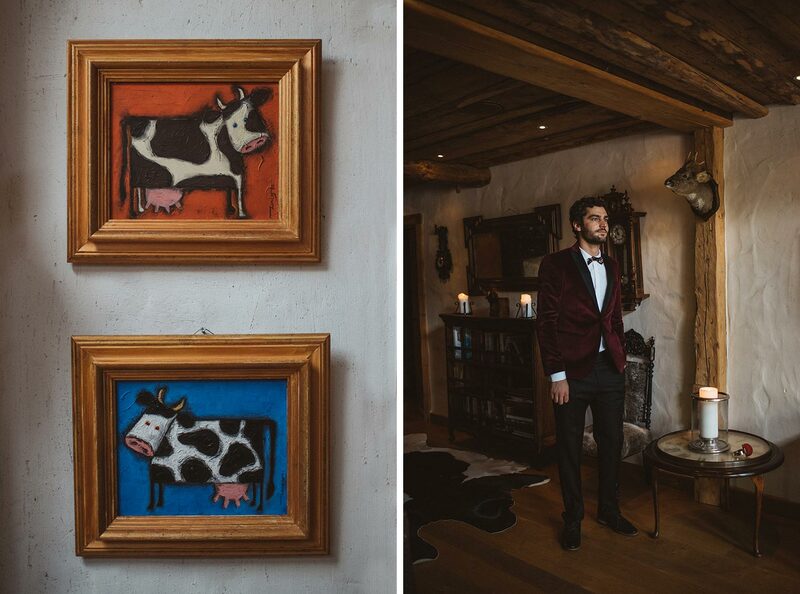 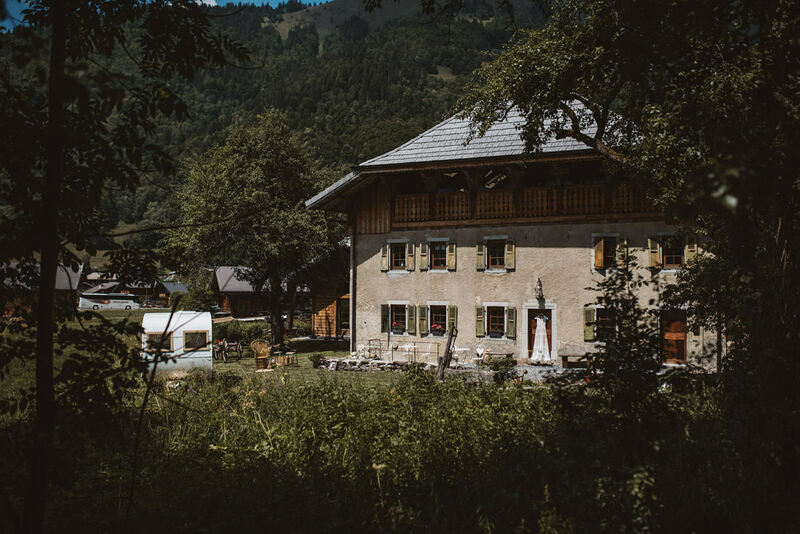 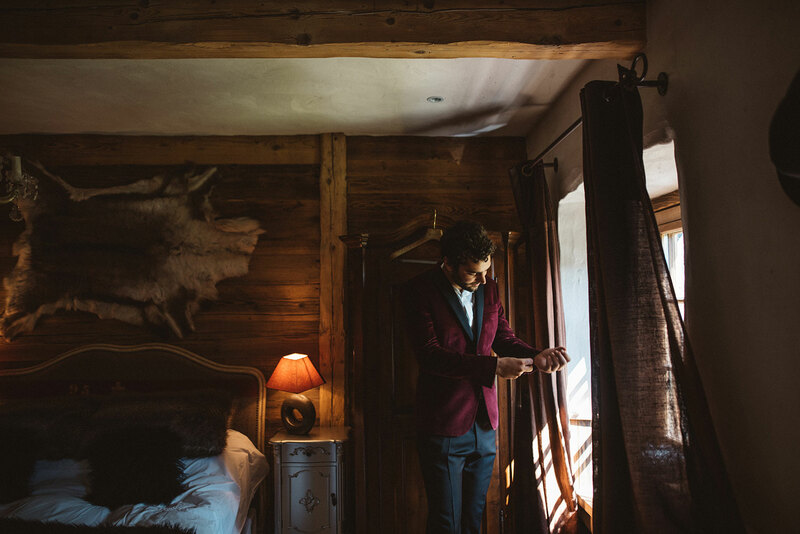 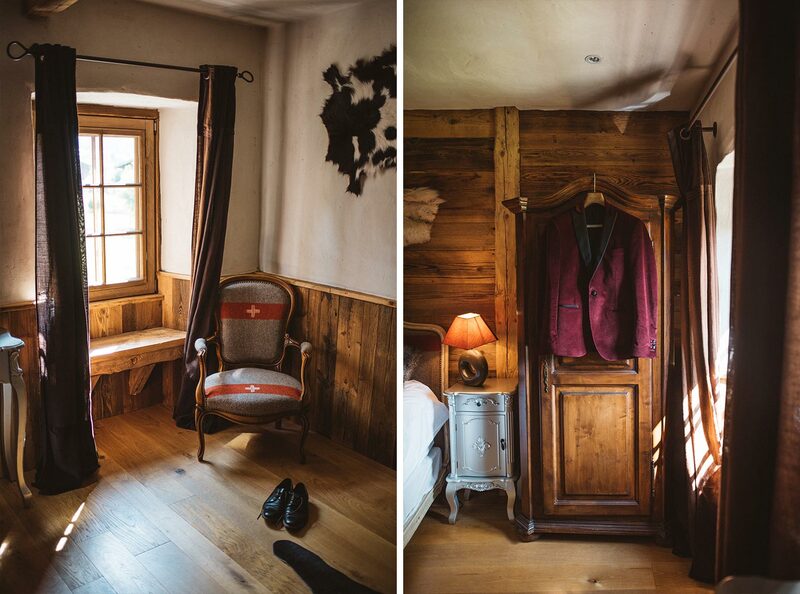 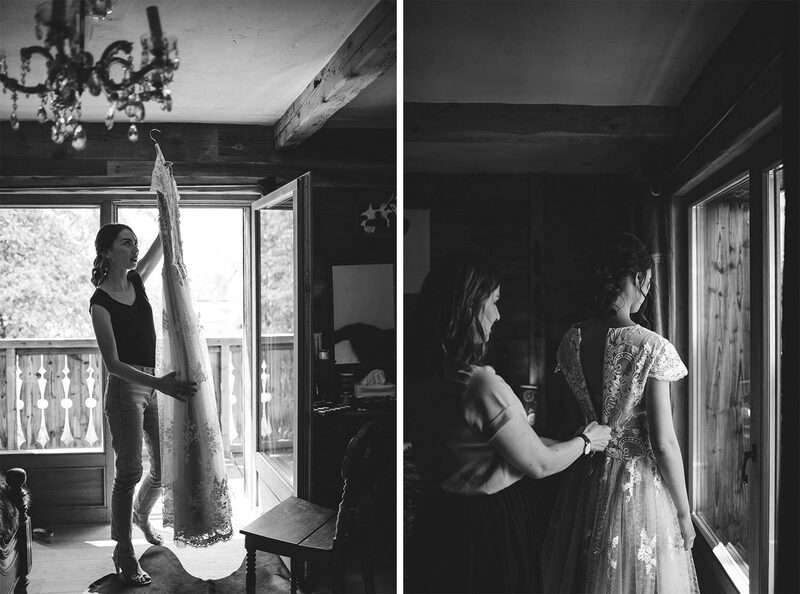 We met with the couple at La Ferme du Lac Vert, which is a beautiful, cozy and warm boutique hotel. 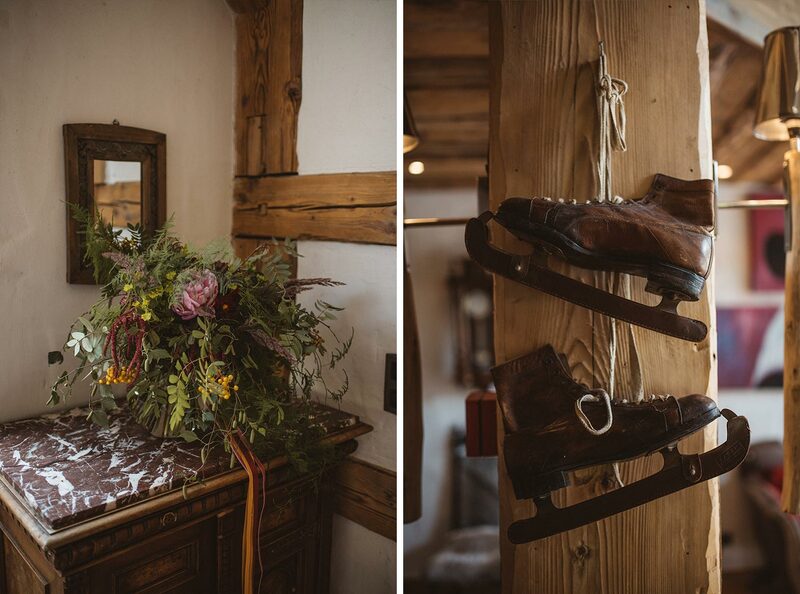 The authentic design of the alpine house is challenged with a wilder interior, including a collection of vintage things like hats and helmets and colorful painting of cows. 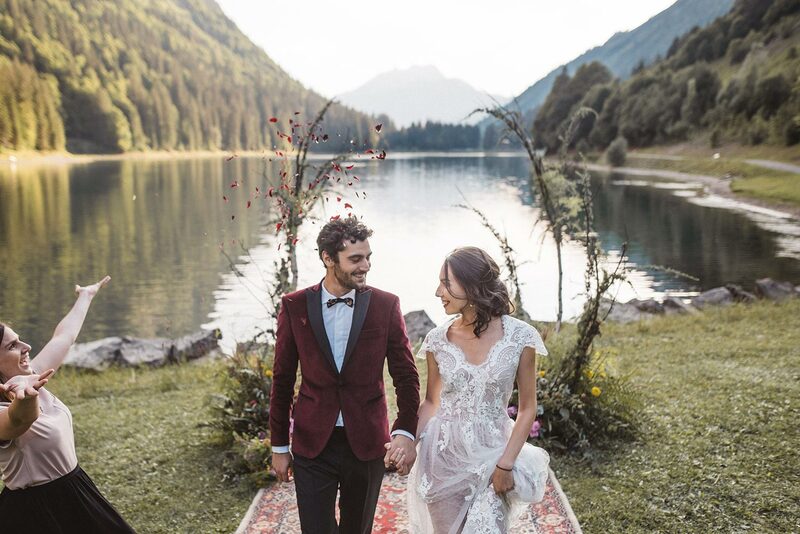 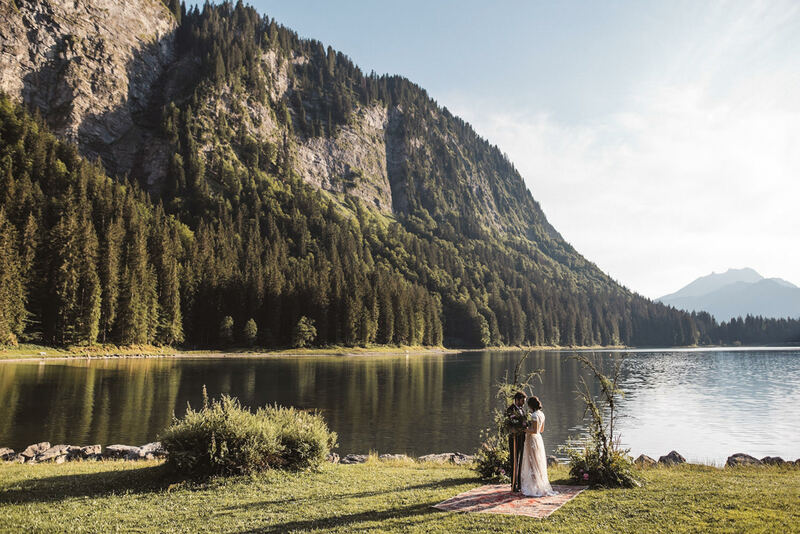 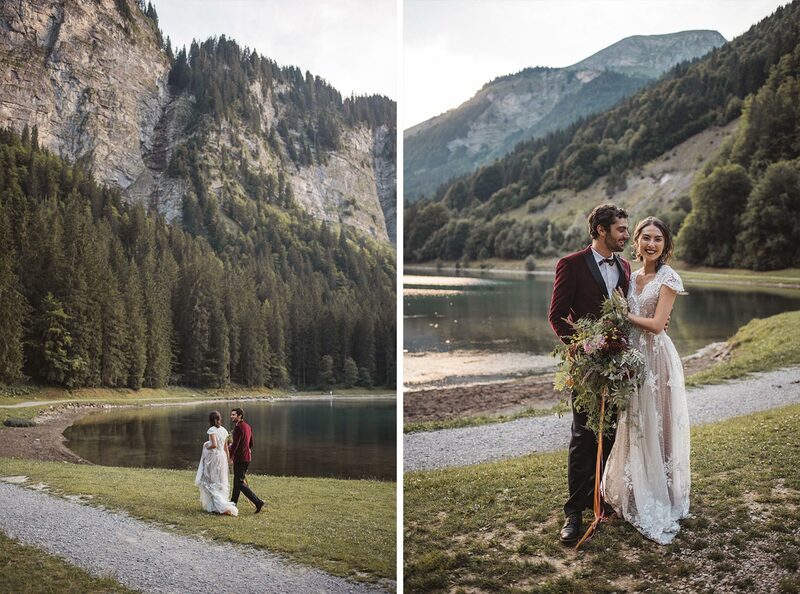 The ceremony took place at Lac de Montriond, which is this beautiful long lake nearby, with an amazing view of the mountains across it. 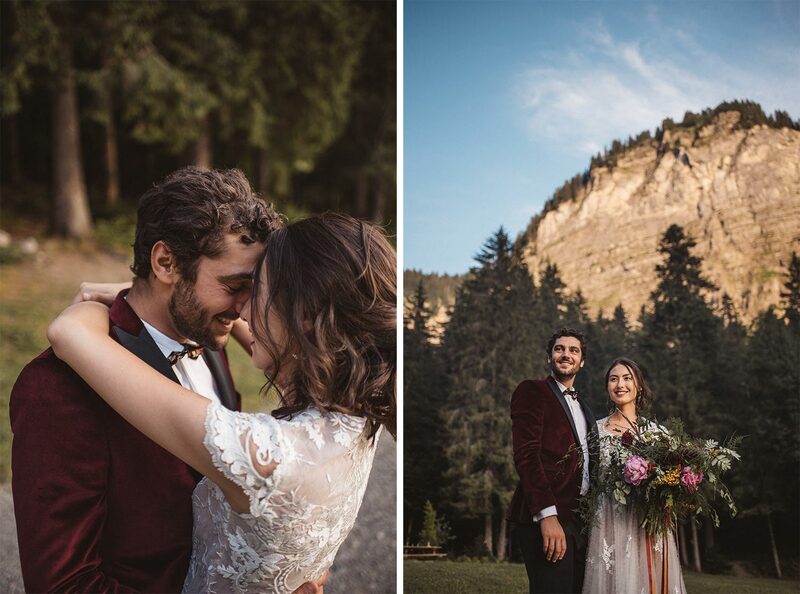 It was peaceful and quiet as the sun was setting behind the mountains. 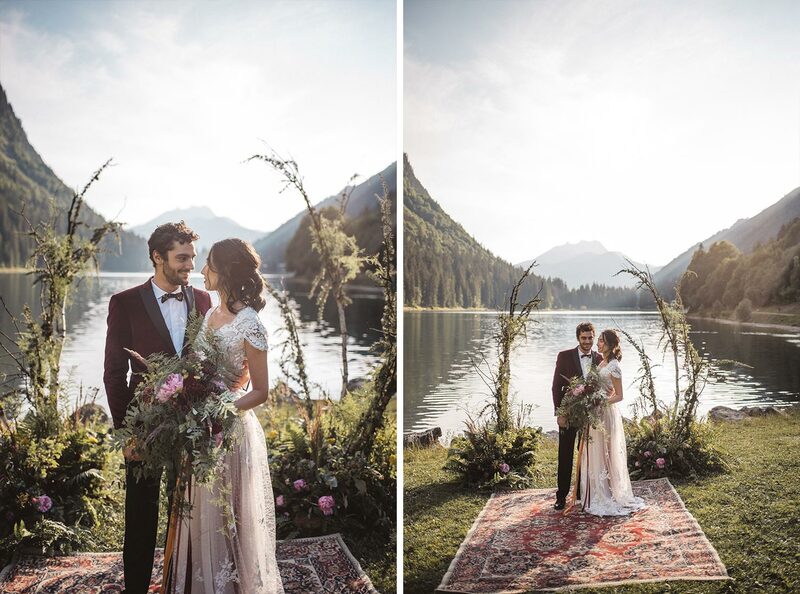 A couple stepped on the red vintage carpet in front of the wild arch to say their vows. 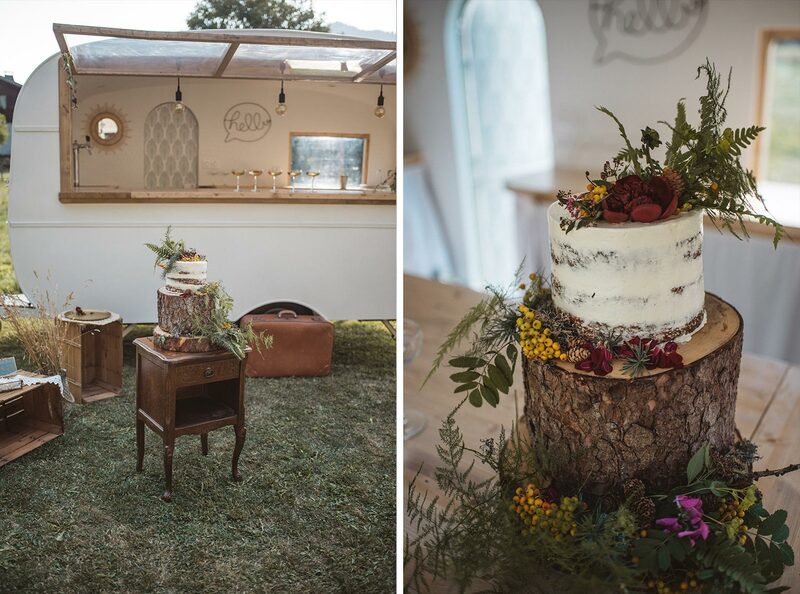 Later we all celebrated with a delicious cinnamon cake and tailor-made coctails from Feursty’s cute white van. 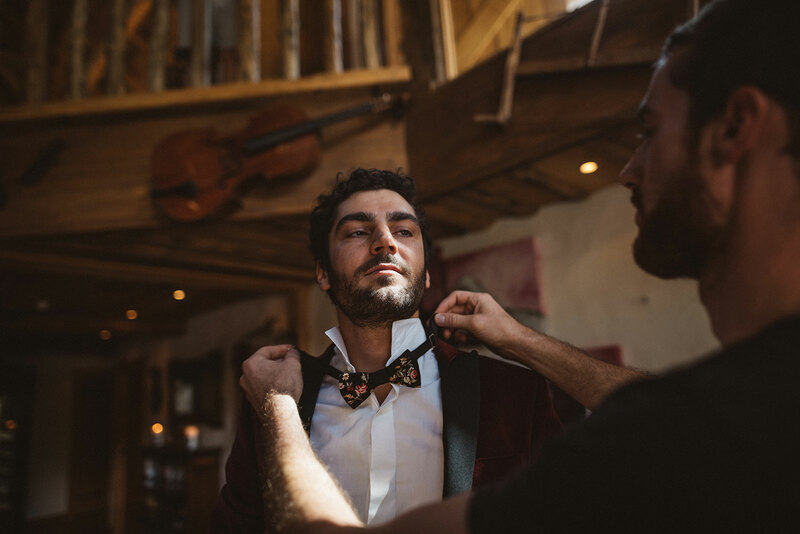 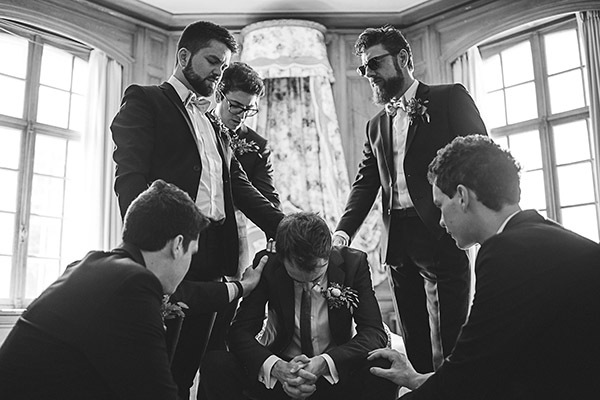 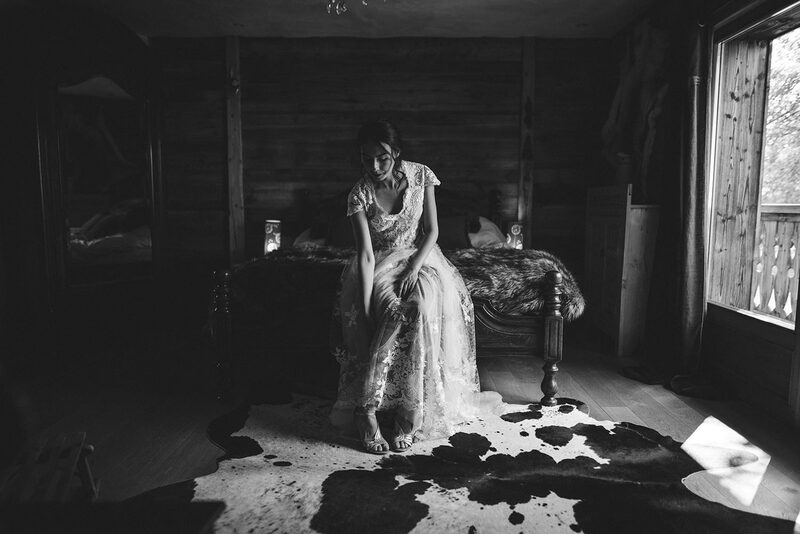 LOOKING FOR A PHOTOGRAPHER IN FRANCE OR AROUND EUROPE?